I only learned about the game BUMP a year or so ago, but since then I have been a bit obsessed. I have created 18+ BUMP games covering a whole host of math concepts. 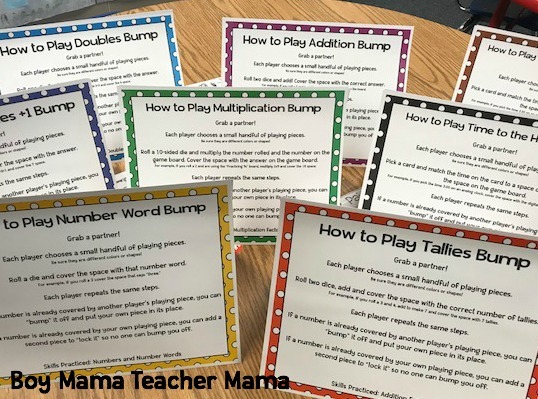 When Family Math Night came along this year and we were choosing games to play, I thought why not use all my BUMP games and let families learn the game as well. It was actually great fun gathering all the games I created, setting them up and watching students have fun with their grown-ups who accompanied them that night. 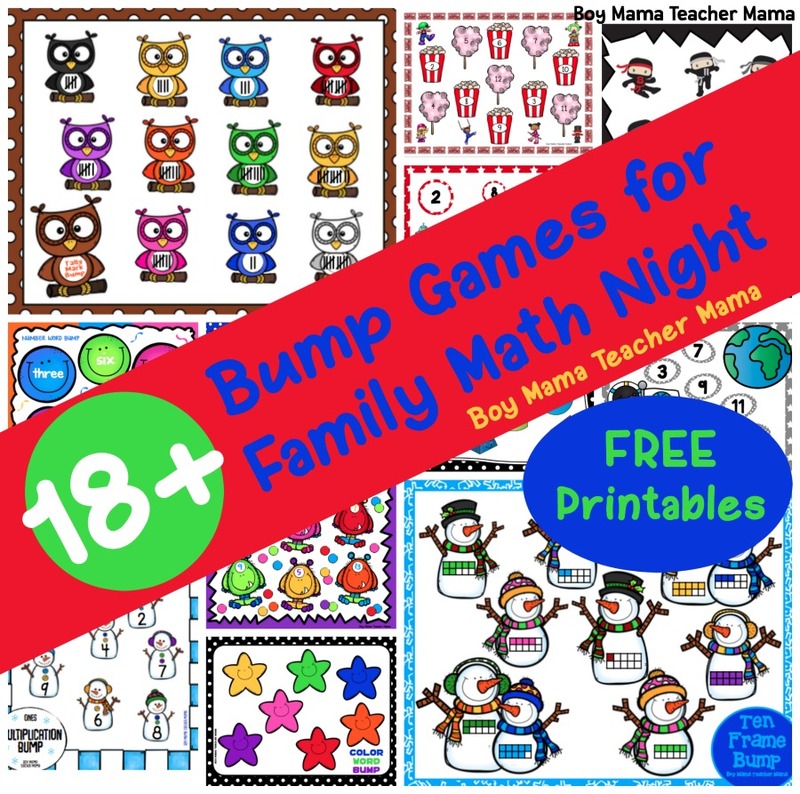 I know many of you have Family Math Nights at your schools and may be looking for some fun and relatively easy activities to do that night. 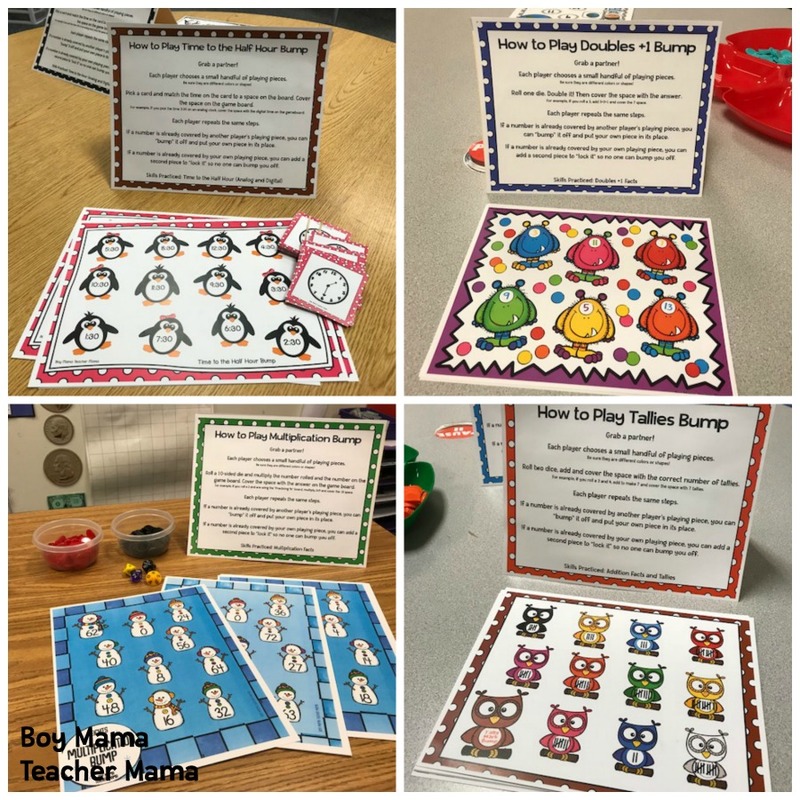 The best part is once all the games are printed, they are ready to go to use in your classroom. I have listed all the BUMP games I have created below. Some of them are FREE for you to print while others are available in my Teachers Pay Teachers store. I have included here, a FREE set of directions to print and display with each game so families can play independently. I hope you find this useful and, if you end of using these materials at your Family Math Night, I would love to hear about it. Happy Bumping! and a Candy Corn Sight Word Bump for those of you venturing outside the math world! And, here are the directions for each game. Simply click HERE to download the complete set of directions. I glued all the directions on file folders so they would stand on their own. Then I displayed the directions with each game! I hope you find these ideas and printable helpful!